Canadian filmmaker Min Sook Lee will be visiting UBC Okanagan’s campus next week. 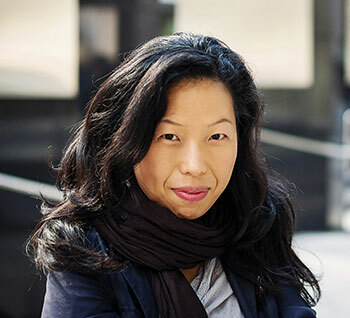 Min Sook, a ground-breaking artist and Canadian filmmaker, will be a visiting scholar—meeting and working with students and professors in the Faculty of Creative and Critical Studies. She has a diverse and prolific portfolio of multimedia work and films and an interdisciplinary background in labour, border politics, documentary film/video, art, and social change. “We are absolutely thrilled to have Min Sook share her insights and award-winning film work during her stay as the FCCS Visiting Scholar," adds Lee. Min Sook is an assistant professor at the Ontario College of Art and Design University where she teaches Art and Social Change. Min Sook’s documentary The Real Inglorious Bastards (2012) was honoured with the Canadian Screen Award for Best History Documentary in 2013. Her latest documentary, Migrant Dreams (2016), a portrait of migrant workers in Canada, debuted at Hot Docs this spring. When: Monday, February 20, at 6 p.m. When: Tuesday, February 21, 12:30 p.m. When: Wednesday, February 22, at 3:30 p.m. When: Friday, February 24, at 6 p.m. Hosted by the AlterKnowledge Discussion Series and the Cultural Studies Annual Visiting Speaker Program. Min Sook's visit is sponsored by UBC's Faculty of Creative and Critical Studies; AlterKnowledge Discussion Series; Cultural Studies Annual Visiting Speaker Program; Equity and Inclusion Office; Institute for Community Engaged Research; Community Culture, and Global Studies; History and Sociology; University of Alberta Press; Okanagan Korean Culture and Knowledge Society; Radical Action with Migrants in Agriculture.